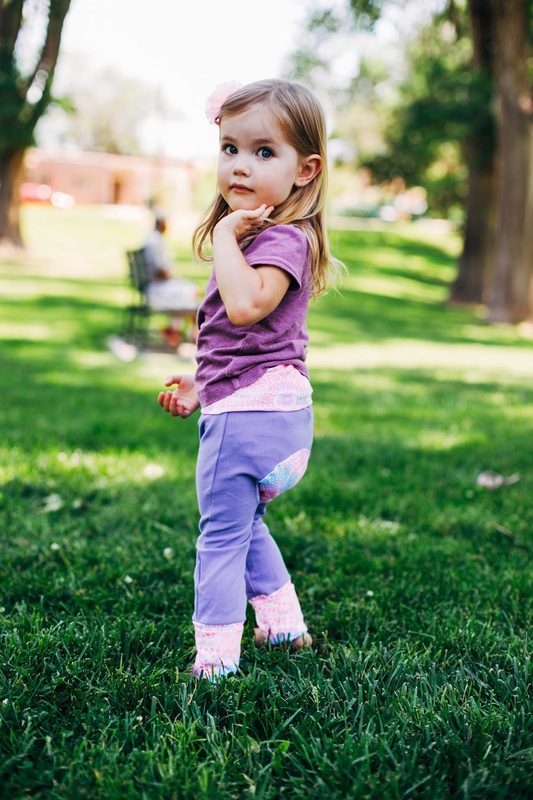 These adorable Maxaloone pants fit a wide range of sizes. This is so that you can buy one pair to last many, many months! How does this work? 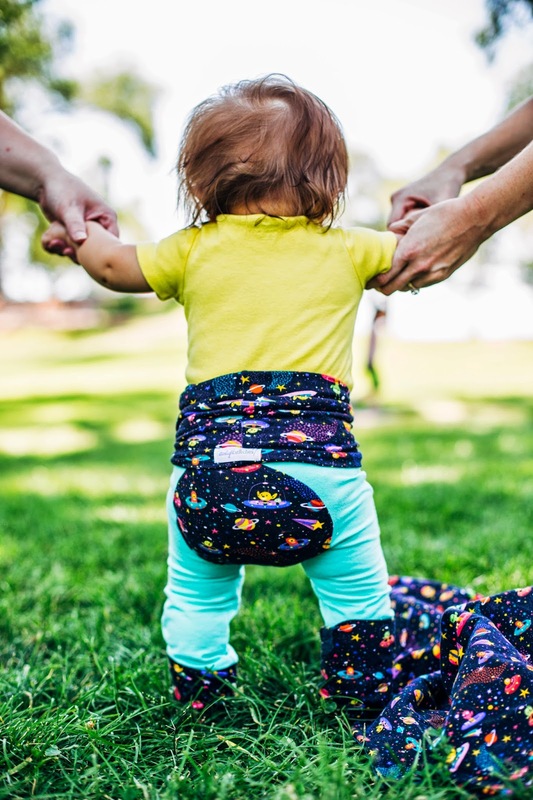 The waist and the leg cuffs roll up or down to fit your baby as they grow. They even have an added "cute" factor! 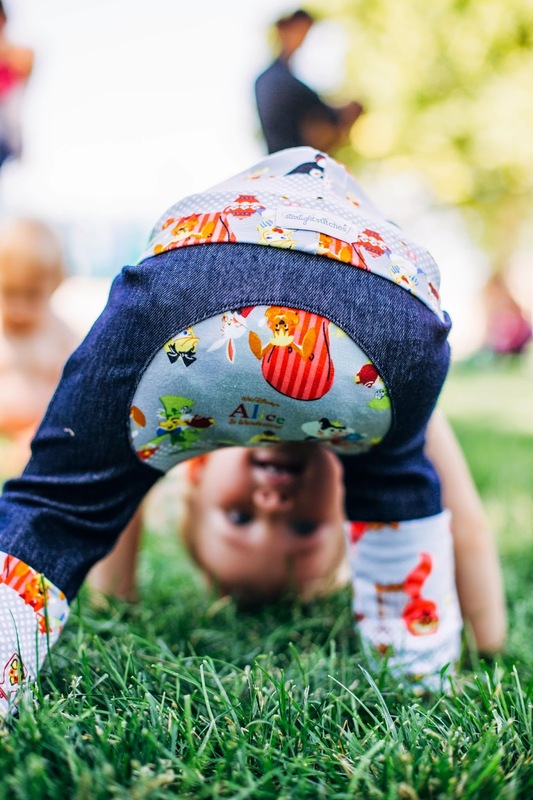 These pants have an awesome circle bum that fits PERFECTLY over your baby's big fluff bum from cloth diapers! 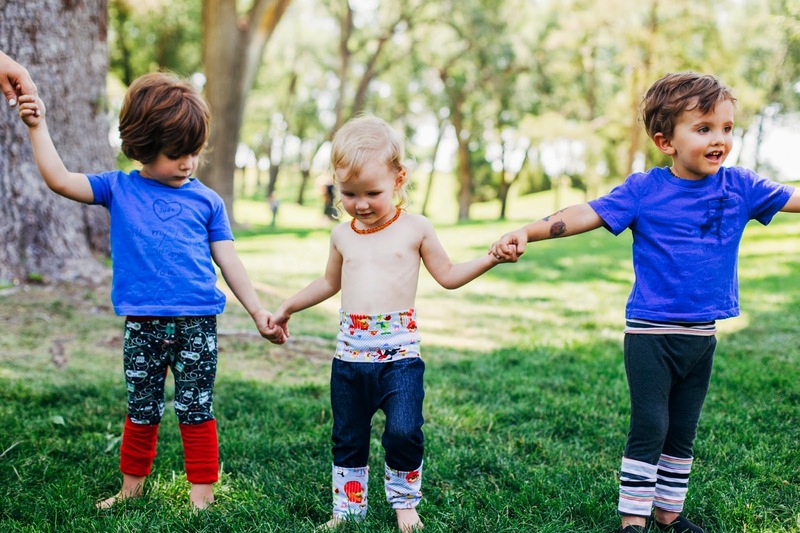 This makes Maxaloones the perfect pants for any cloth diapering family and just as adorable for those that don't cloth diaper. 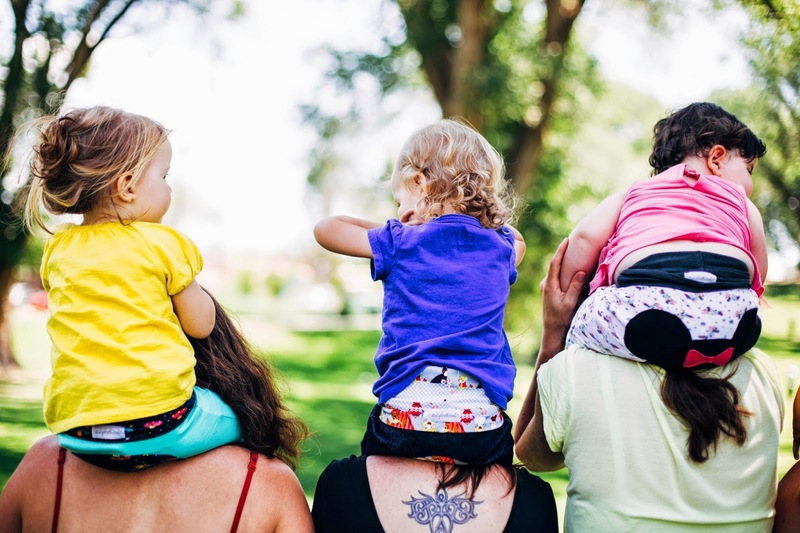 They are also AMAZING for babywearing because when their pant legs ride up, just roll the cuff down. There are three fabric choices available for this campaign. You get to choose the fabric print and the size of the pants. 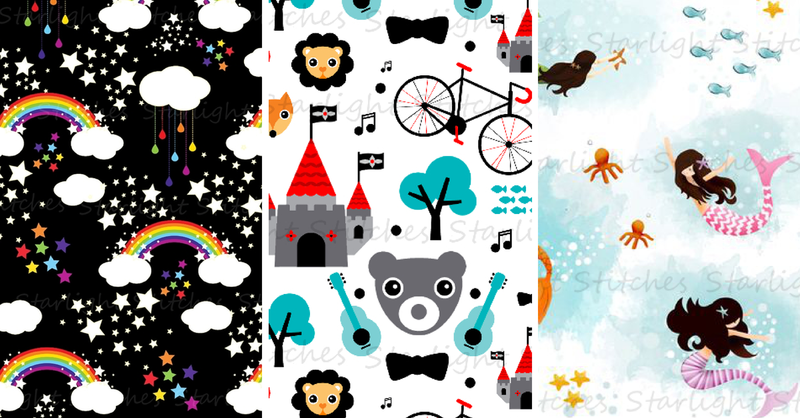 All coordinating fabric will be chosen by Starlight Stitches. What do our fans have to say about our Maxaloones? "OMG, the rainbow serging on the inside is such a beautiful touch it's one of my favorite parts!!! Fitted amazingly!!! No complaints! Perfect stitching and hemming. My favorite pair of pants for the twins by far!" "The quality and fit are amazing!" "The sewing is done to perfection and awesome eye on colors". "The quality of work is just amazing compared to some others who sew lots of Maxaloones. Just impeccable." 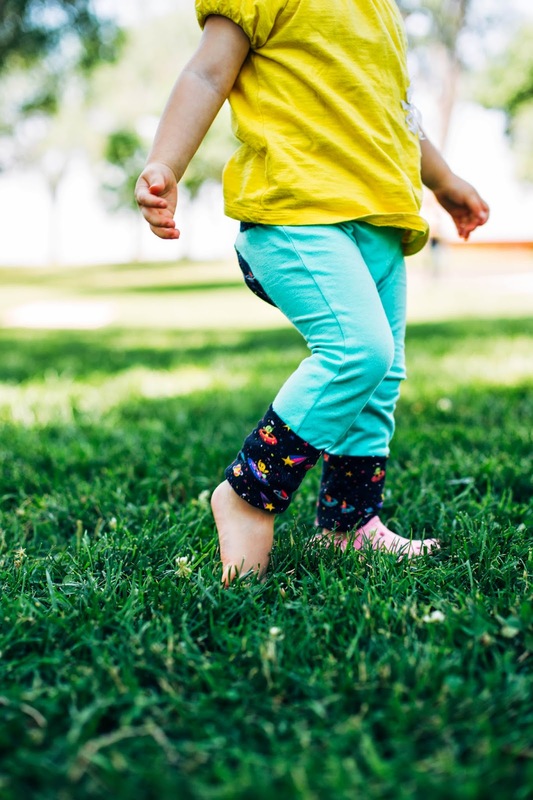 "I love that they will grow with my daughter." Make sure to add fabric print and size selections at checkout.